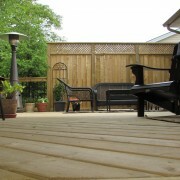 “Composite or Natural Wood?” This is the most popular question we’re asked when designing a deck for a client. 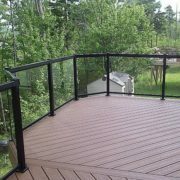 Composite deck material has quickly become the first choice for people investing in their outdoor living space. Like any materials used in a renovation, decking materials come in low, medium, and high quality – with pricing to match. When compared to natural wood, composite decking does have a higher cost as it’s more durable and aesthetically pleasing. 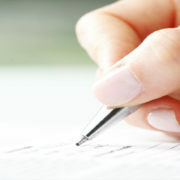 Naturally, the higher price point might cause homeowners to shy away from the upfront investment of building with it. 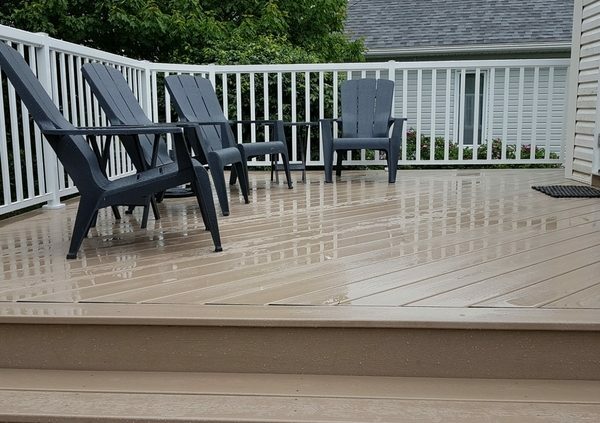 An important piece of information we share with our clients is that over time, a deck built with composite material can actually cost less than a deck built with natural wood due to its minimal upkeep and superior durability. Composite materials also improve the longevity of a deck, as they help a deck maintain its original beauty and rich color. Composite deck material can combine recycled plastic, wood chips, and sawdust – making it environmentally friendly and durable. 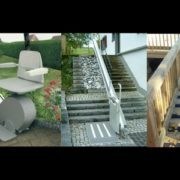 Some of the most popular manufactures of composite decking material are AZEK, TimberTech and Trex. Each company has a vast array of colours and styles to choose from. 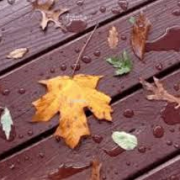 Let’s have a closer look at the pros and cons of using composite materials before you make a final decision on which decking material to use. When designing your deck, your professional deck builder should be able to help you decide which materials best fit your budget and the style you’re trying to achieve. Natural wood looks great when it’s new and has less of an upfront cost. 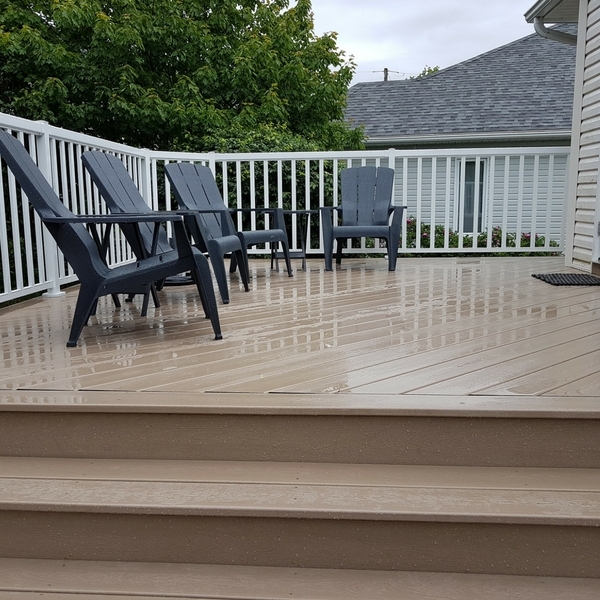 Composite is a luxury decking material that looks elegant for years, but the price-tag of the deck is initially much higher. 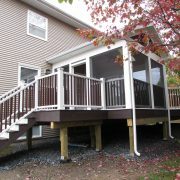 A deck is an outdoor living room, providing you with a place to enjoy the great outdoors with your family and friends. 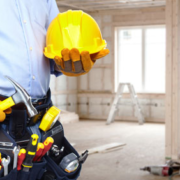 When you contact your deck contractor, let them know your vision, and your budget. 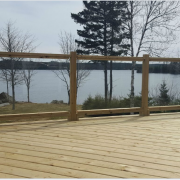 Everyone deserves to walk out on their deck and love the space, whether it is on natural wood or composite material! 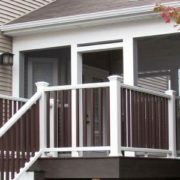 View our gallery to see some of the composite deck designs that we have created at All-Craft.